1.Grups automation provides fibre-glassed wall-mounted enclosure by reinforced polycarbonate with transparent cover or either grey. 3.Covers with quick-release fasteners ensure fast maintenance. 4.For safety, there is self-extinguishing material. 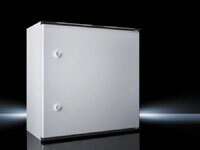 1.Grups automation supply Wall-mounted enclosure with cover made from sheet steel, available in versions with and without gland plate. 2.Effortless wall-mounting with rear panel with holes. 3.Maximum flexibility for cable entry. 4.Safe PE conductor connection from enclosure to cover. A.Terminal boxes KL without gland plate. B.Terminal boxes KL with gland plate. 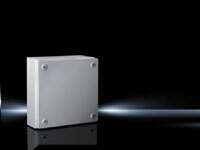 1.Wall-mounted enclosure with door and mounting plate of sheet steel. 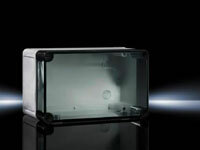 2.Protection category IP 66. With 180Â° hinge. 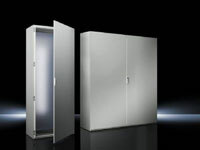 3.insert may also be exchanged for individual lock systems..
1.Wall-mounted enclosure with door of sheet steel, with polycarbonate viewing window. 3.Optionally with mounting plate or support rails. 4.Depending on the version, drilled holes for cable glands are already provided. 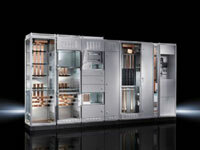 5.Bus modules of virtually all makes may be attached. 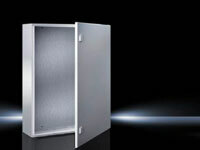 1.Individual sheet steel enclosure with stable enclosure body, two integrated mounting levels, screw-fastened rear panel and door. 2.Roof and sides from a single piece with roll-formed frame. 3.Fully compatible interior installation with the TS 8, enabling full integration into the TS 8 product family. 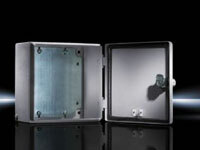 1.Wall-mounted enclosure with door of of fibre-glass reinforced, non-saturated polyester, with mounting plate. 2.Optionally with or without glazed door. 3.Protection category IP56 or IP66. 4.Thanks to multiple mounting levels for Infinite mounting plate depth adjustment in the enclosure. 5.press-fitted mounting bosses used flexible interior door configuration in the door. High stability thanks to use of fibre-glass reinforced plastic. 1.TS 8 baying systems â€“ a system platform for just about any application. 2.Every enclosure when used in conjunction with the system accessories, is a specialist for very specific tasks. 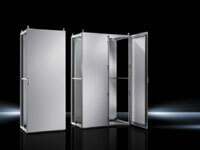 3.The symmetrical frame profile of the TS 8 ensures a significant space gain plus simple interior installation. 4.This likewise ensures bayability from all sides. 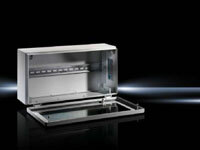 A. Baying systems TS 8 Modular enclosure.